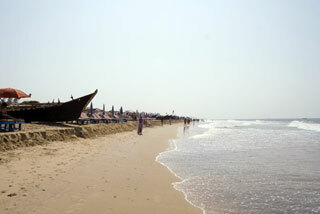 15 km away from the capital of Goa, Calangute is probably one of the most popular beaches in Goa. 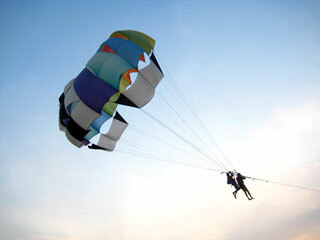 This is the ultimate experience in sun sea and sand and the fun just follows you along the way. 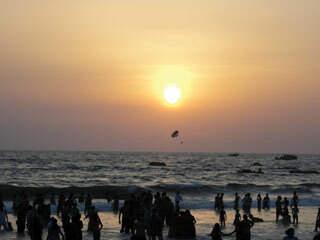 A beach that has seen people in throngs in the peak time, calangute offers all the revelries that you want. 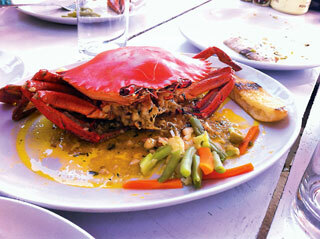 This is why people come to Goa and Calangute beach is known to deliver in spades. One of the places worth visiting nearby is the St. Alex Church. As the vast traffic on the CHOGM road reaches the village, the Church of St Alex greets with its two towers and a magnificent dome gracing the façade. The inside of the church is a display of the line and beauty of its architectural style and ornate altars. 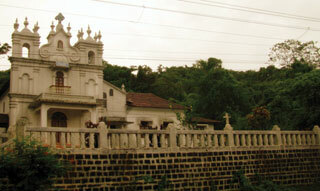 In 1996, Calangute celebrated the fourth centenary of its parish church. If the beach gets too much for you , you can always escape to the serenity of the church , believer or not. It is oen for all. 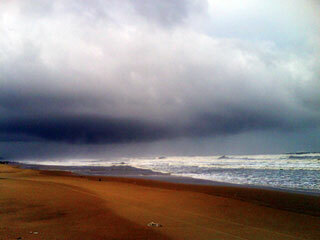 Well Calangute is thus definitely not for the weak hearted. Many a people visit it just to get a glimpse of a life that is absolutely footloose and fancy free. A large stretch of beach ornamented with hammocks and colourful swimwear, Baga represents everything that is the party spirit of Goa. Though a surprisingly tame night life, this is close to all the beaches that are fames for their legendary parties. 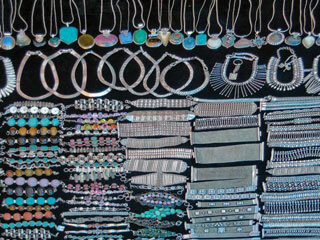 You surely will not be missing out on anything here. 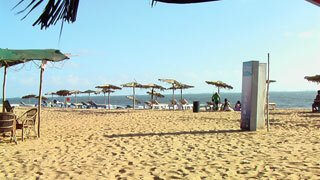 If you are a tourist in Goa the first place that you will come to is Calangute. 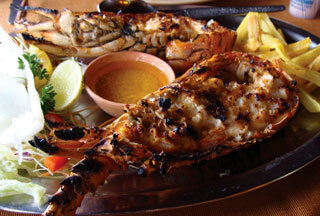 So enjoy the numerous shacks, the delicious food , the water sports and the incomparable feeling of being pampered in Goa.